On Friday, I survived my five hours of class! Phew. That was tough. Saturday, I went to the Lyon public library with Colton, enjoyed a fancy lunch of pasta and turkey cordon bleu at his place, and then met up with Cynthia to play some Scrabble. (Guess who won.) After that game, Cynthia and I enjoyed some very filling (and quite cheap) crepes at a nearby restaurant. Delicious! 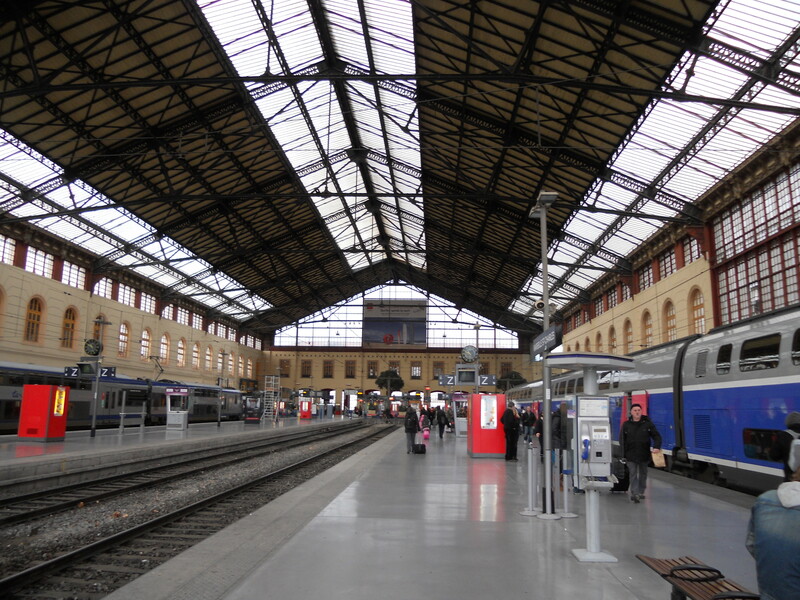 This morning (Sunday), Colton and I boarded a 9am train headed to Marseille, a port city in the south of France. After just under 2 hours, we arrived! The train station in Marseille. We then caught the metro (which was conveniently attached the train station) and headed to our hotel. 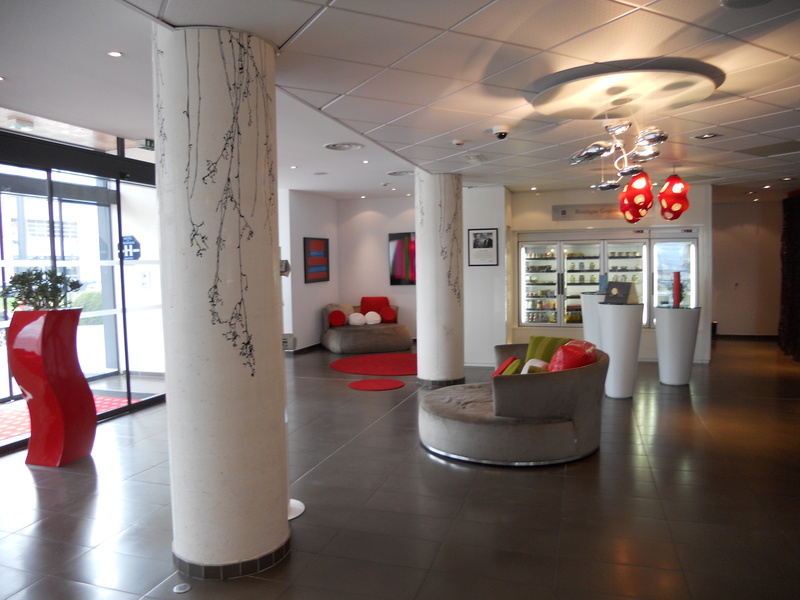 The lobby of our hotel - very chic! After dropping our bags off, we went out to explore the city, find some lunch and eventually make our way to the opera house. 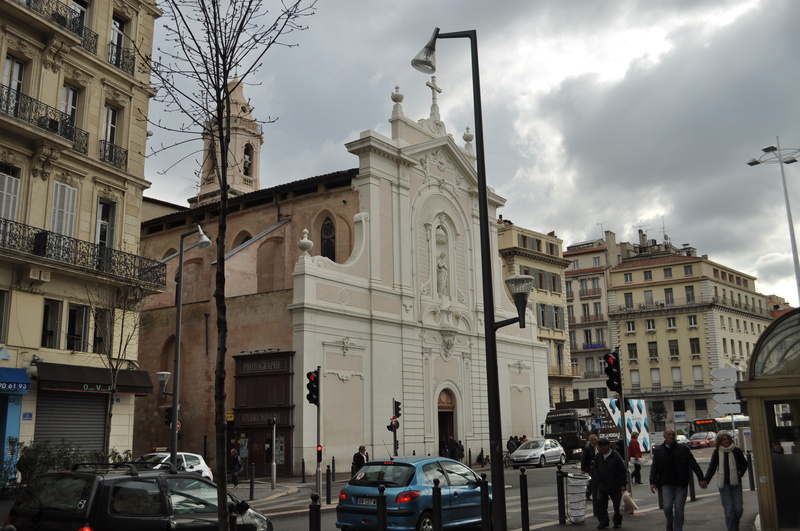 A church on a street in Marseille. Unfortunately for us, almost everything was closed today (France pretty much shuts down on Sundays). So, we settled for just walking and taking pictures of pretty buildings. 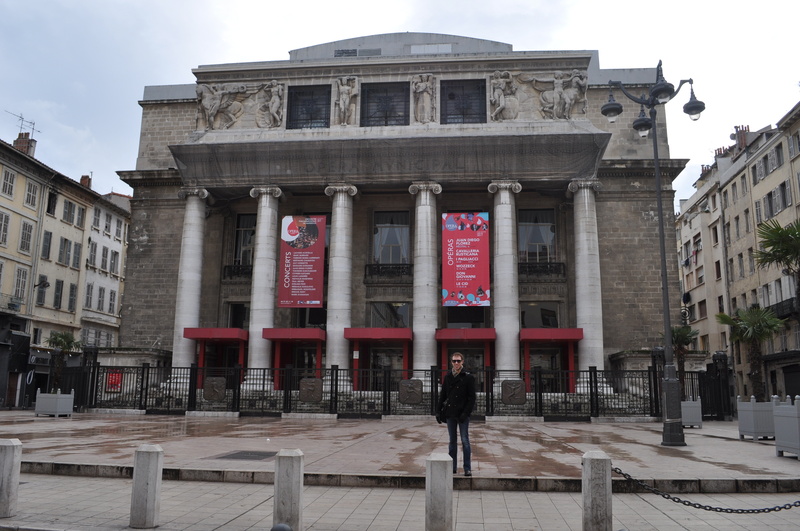 The buildings in Marseille are gorgeous, though a bit grungy. 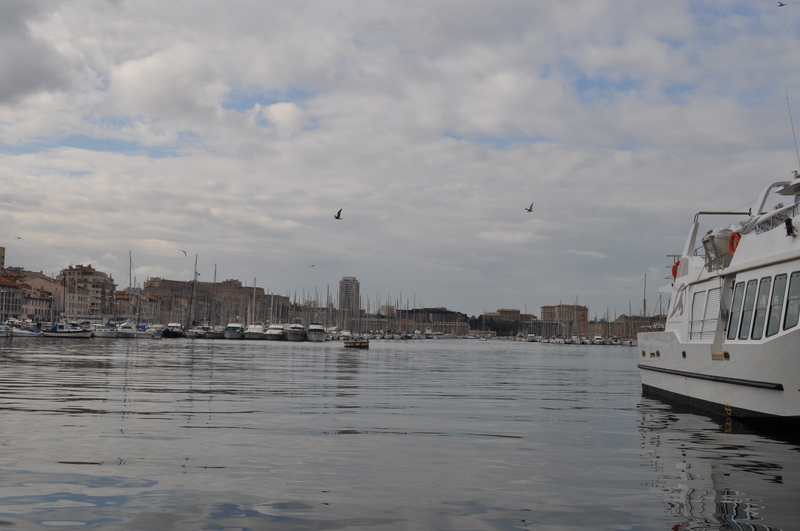 Marseille is the second largest city in France and the largest port city, but it has a fairly bad reputation. I think it’s pretty charming, though. The view along the waterfront. 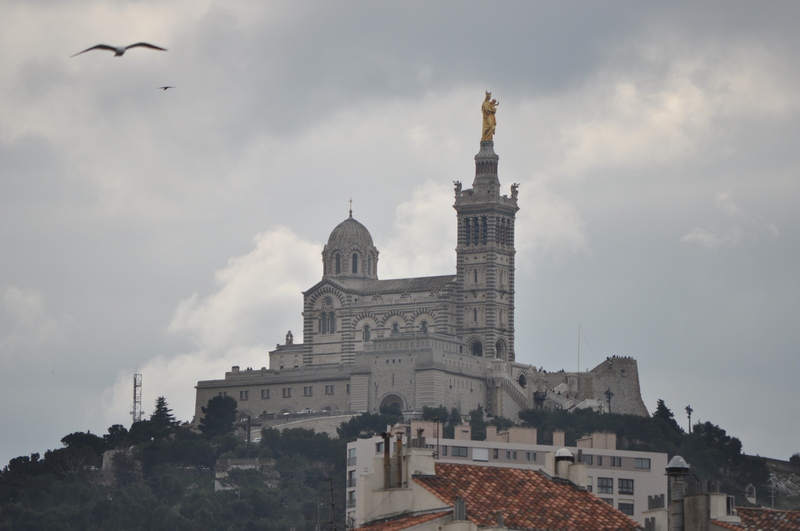 Close up for the Basilique Notre Dame de la Garde. We're going to try to hike up to this tomorrow before our evening concert. And it has a beautiful waterfront, which makes me feel at home. After we walked along the waterfront (and admired the fresh fish for sale from local vendors), we headed off in search of some lunch. 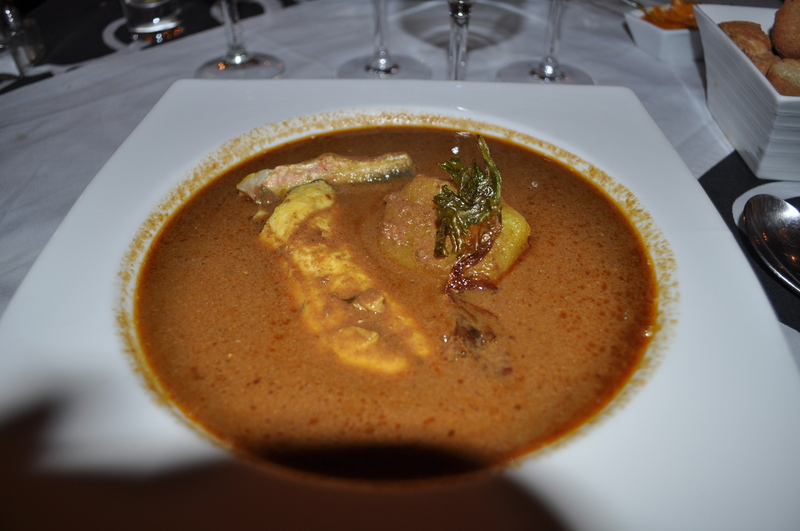 There is a traditional Marseille dish called Bouillabaisse, which is a soup made up of five fish, tomatoes, white whine, fennel, saffron, and served with croutons and garlic mayonnaise. I obviously didn’t want any garlic mayonnaise, but I wanted to try the dish. So, we found a very cute restaurant (with a super nice waiter – kind of a rarity around here!) and ordered some Bouillabaisse. As you might expect, it was very . . . fishy. It was alright. I’m glad I tried it, but it’s not something I’m likely to ever order again. Then, we were off to the opera! Colton at the Opera House. Actually, we were off to TWO operas. We saw Cavalleria Rusticana and I Pagliacci. Each was only about an hour and fifteen minutes, so it felt kind of like watching only one opera (thankfully – sorry Colton, I love operas, but two full-length ones in one day might have been a bit too much!). The first one was alright, but the second one was fantastic. I’m really glad we went (SO much better than Werther)! 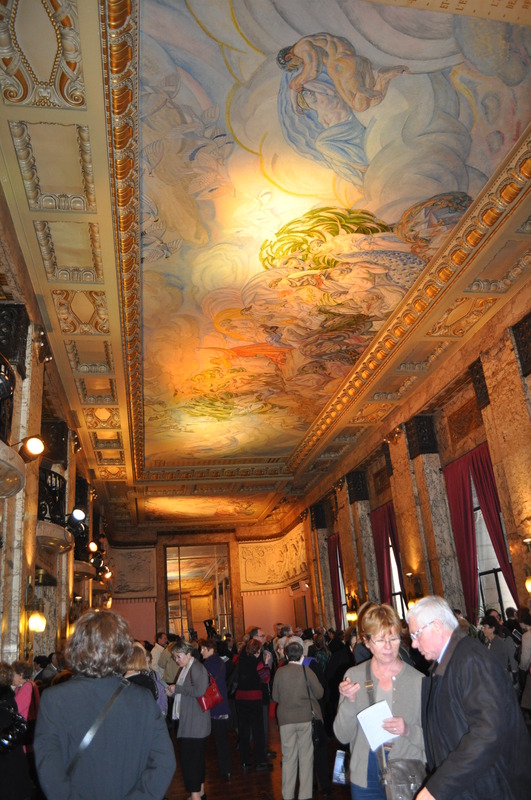 The ornate interior of the opera house. 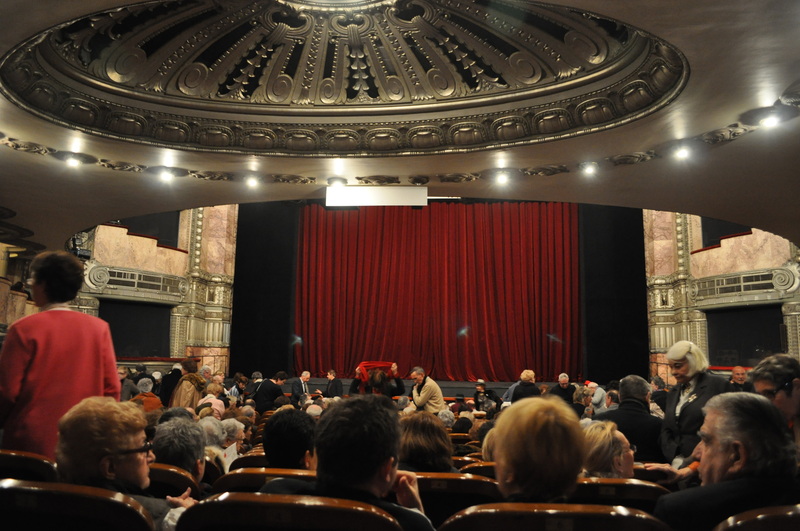 The interior of the opera house was quite ornate – and, unlike the Lyon opera house, none of it has been modernized (which makes me happy). The view from our back-row seats. After the opera, we wandered back to our beautiful hotel since absolutely nothing (aside from restaurants) was open. 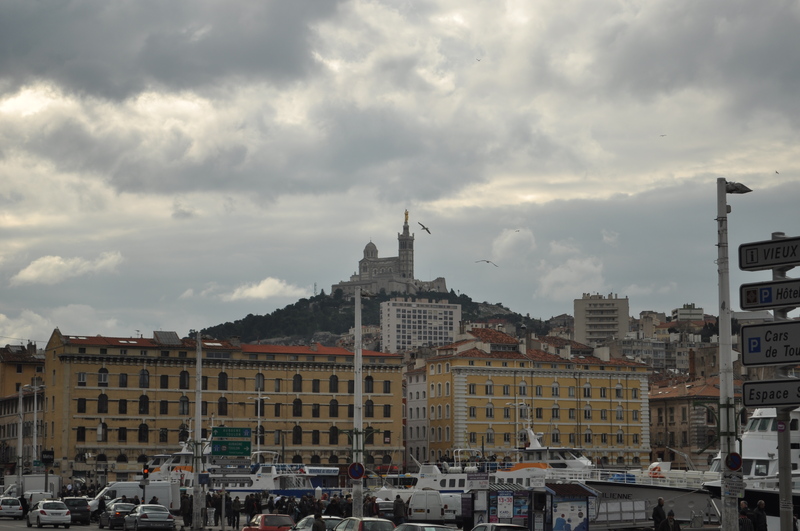 Tomorrow, we’re going to wander around and try to enjoy as much of Marseille as possible before going to a concert (of an opera singer, of course!) tomorrow evening. 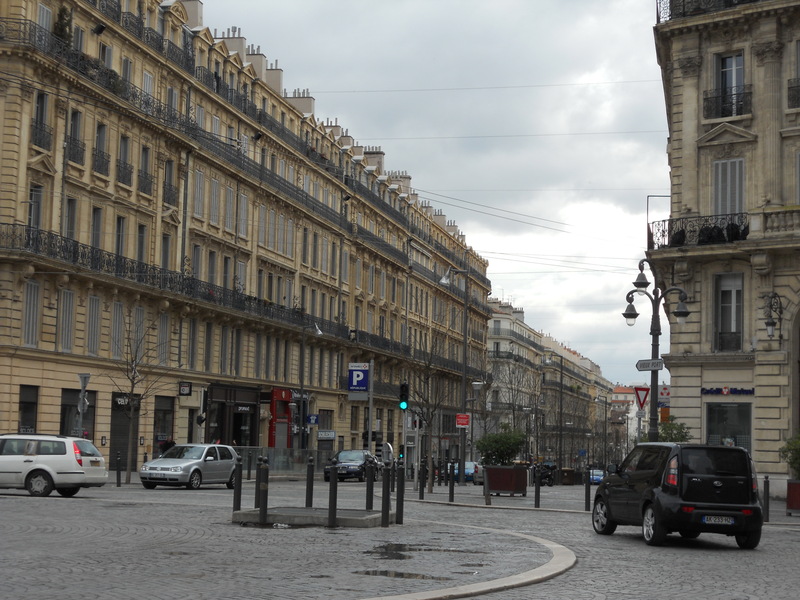 We’ll be headed back to Lyon just in time for classes on Tuesday morning. Oh! And, I might be crazy. I’ve (foolishly?) signed up for the Portland half-marathon in October. That gives me 9 months to get in shape and actually become a runner. Yikes!